Prochoice advocates held signs outside the Supreme Court building before rulings in June 2016. NARAL Pro-Choice America is launching a $5 million, 19-state campaign to flip the House of Representatives, targeting Republicans who have voted to restrict abortion but have rarely had serious Democratic challenges. NARAL’s spending plan, the largest in the group’s 49-year history, will take it into most of this year’s battleground states: California, Colorado, Florida, Georgia, Illinois, Iowa, Michigan, Minnesota, Missouri, Montana, Nevada, New Jersey, New York, Ohio, Pennsylvania, Texas, Virginia, Washington, and Wisconsin. 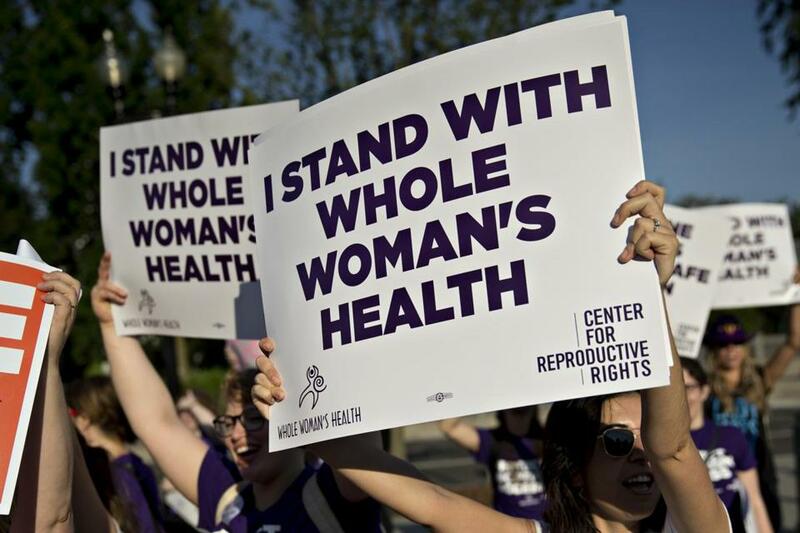 The targets in those states will be Republicans who cast low-profile antiabortion votes, often on bills that were throttled by the Senate, but who represent districts with pro-abortion rights voters who often sit out midterm elections. Several, such as Representatives Steve Knight of California, Mike Bishop of Michigan, Steve Chabot of Ohio, are cosponsors of the so-called ‘‘Personhood’’ bill, which aims at Roe v. Wade by legally stating that life begins at conception. Others have sponsored the ‘‘heartbeat’’ bill, which would effectively ban abortion after six weeks of pregnancy. Two sponsors of the latter bill, Pennsylvania’s Lou Barletta and Ohio’s James Renacci, are candidates for the Senate. In Wisconsin, another state where NARAL’s work could spill over into Senate races, both challengers to Republican Senator Tammy Baldwin have said they’d support both legislative efforts to limit abortion — a contrast from Baldwin’s first race in 2012, when her Republican challenger sought to run as a moderate. NARAL’s larger, earlier campaign investments are possible because of a fund-raising surge that it and other liberal groups have seen since the 2016 election. In the week after Trump’s victory, NARAL reported donations from nearly 200,000 people, many jokingly dedicated to Vice President Mike Pence. That was a 40-fold increase from its usual weekly donations. In the entire 2016 campaign, NARAL’s 501(c)3 and PAC spent a combined $1.3 million on general election candidates.